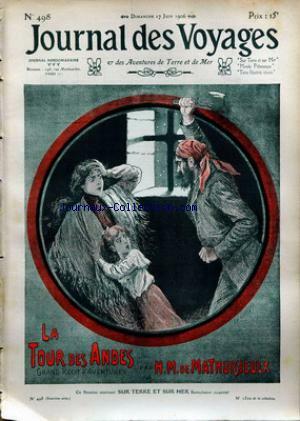 LA TOUR DES ANDES PAR DE MATHUISIEULX – DESCHAMPS – DEGLANTINE – JOHN A. SPRING – KAUFFMANN – BOUSSENARD – FONTANE – LACROIX – D’IZIER – ALBARET – ROBIDA. 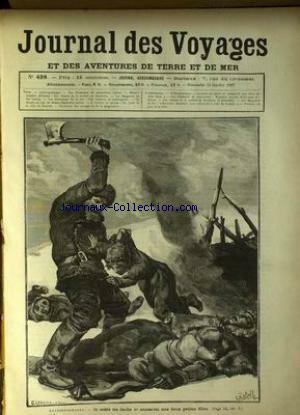 Partager la publication "JOURNAL DES VOYAGES no:498 17/06/1906"
CHASSEURS DE CAOUTCHOUC – AFRIQUE – PANAMA – LEMOINE – CASTELLI. Partager la publication "JOURNAL DES VOYAGES no:498 23/01/1887"